It was a dark moonless night when we reached the access doors of this building from a palatable evening meal at the local restaurant few steps away. 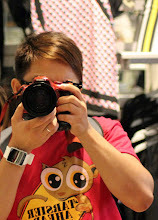 The heavy rainfall provided us the intention to check out what lies inside the establishment while waiting for the rain to subside. As we enter the unfamiliar domain, the concierge staff greeted us with cordiality allowing ourselves to find warmness inside the room from the cold outdoor atmosphere. A few minutes after, I walked around the lobby hall and stumbled upon a gallery of different work of art from renowned artists. 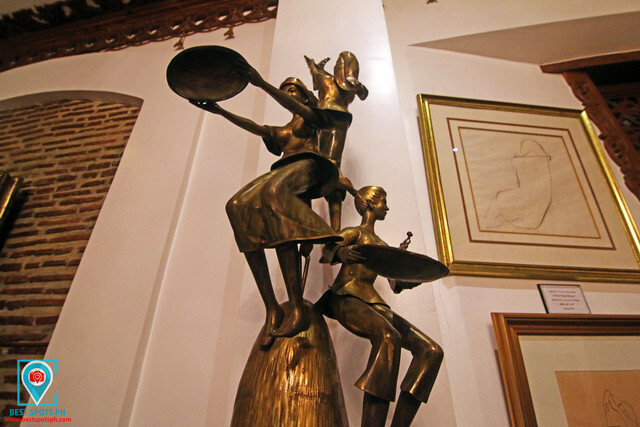 As an artist myself (I used to sketch, draw, and paint), I was amazed seeing the works of Arturo Luz, Benedicto Cabrera’s “Three Women”, and the intricate sculpture-masterpiece of Napoleon Abueva, the Philippines’ National Artist for Sculpture, and Father of Modern Philippine Sculpture. 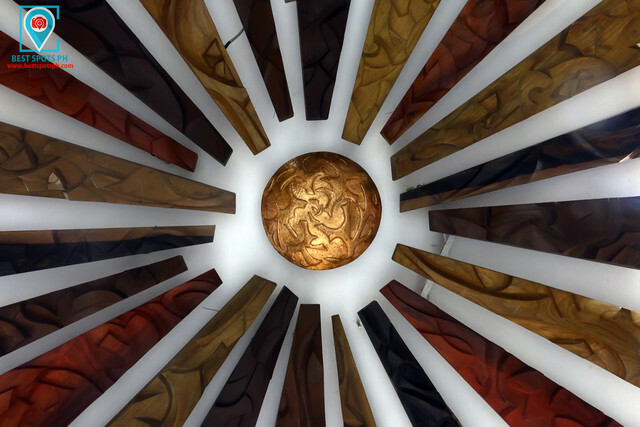 The sculpture that is made from indigenous hardwood materials carved into a remarkable artwork is said to depict the sun with rays that installed in the interior surface. 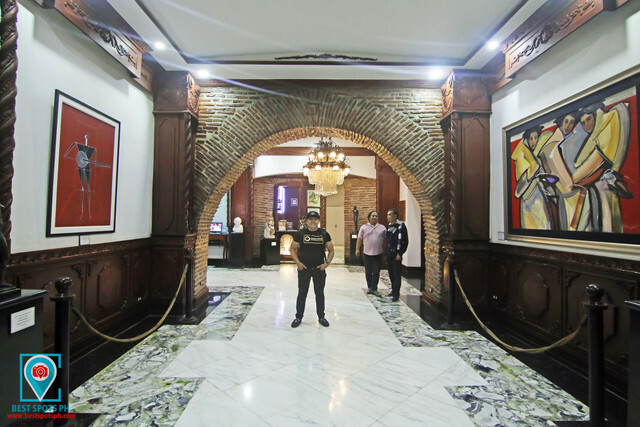 Like most of the hotels in Vigan City, Hotel Luna is previously a Spanish ancestral house turned into a museum. 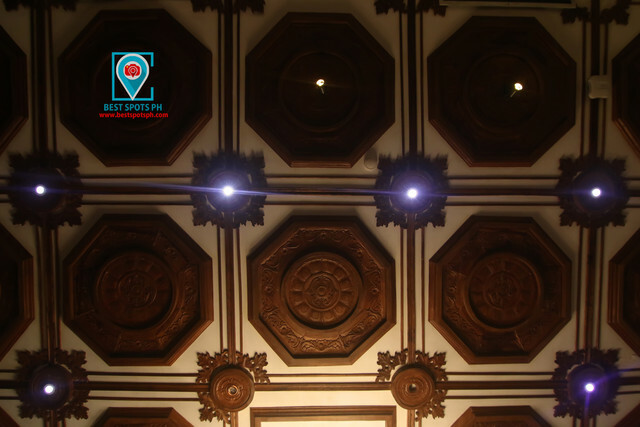 Hotel Luna was built in 1882 by Don Jose Florentino, a wealthy man as a wedding present to his lovely daughter, Doña Carmen Florentino when she married Don Honorato Romero Encarnacion in 1883. 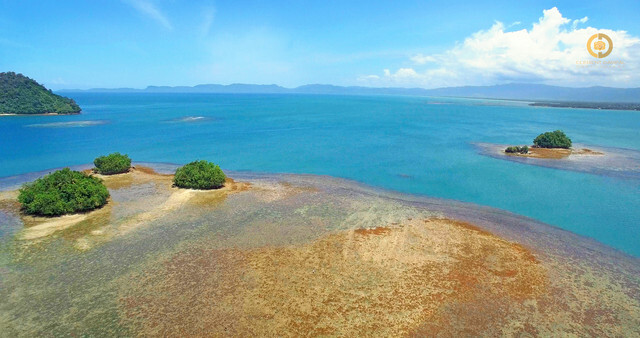 Accordingly, Don Encarnacion then remarried and had two daughters Doña Mercedes Encarnacion who married Victorino Florentino that inherited the Spanish-inspired property. 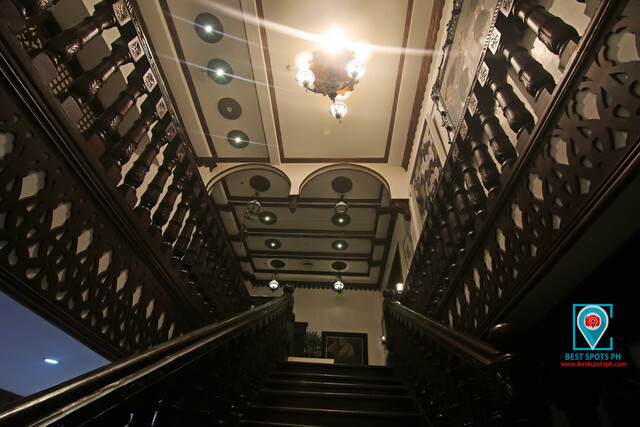 Encarnacion Ancestral House, the former name of Hotel Luna was then sold prior to 1990 to Benigno Que fulfilling a request after years of passing the property to their heir. In 2013, the property was acquired by the Stern Real Estate Development Corporation, later known as AHMGI also known as Artstream Hospitality Management Group, Inc. the same group that brought Hotel Rembrandt Manila into existence. 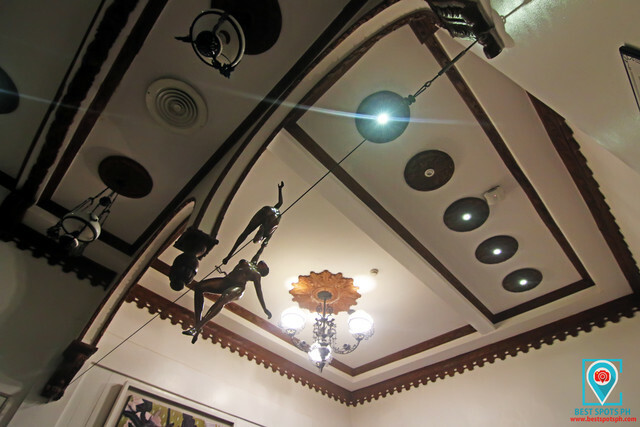 AHMGI then restored and rebuild the Encarnacion Ancestral House that took them for about 15 months on its transformation into a first-class museum hotel property with the city’s conservation guidelines, and later named it to Hotel Luna opening its doors to the public last February 08, 2014 and following the original Spanish colonial designs that can be found in Vigan City while preserving the historical integrity of the ancestral house. Today, Hotel Luna is one of the flagship destination hotels of AHMGI, and being a partner of World Hotels, it is considered among the best hotels in the world. Inside the lobby hall, visitors will be greeted with these impressive artworks, and that Swarovski Chandelier. As I continued my way while walking around with wonderment together with my Misamis Oriental Tourism, Culture, Heritage, and Art Council colleagues, I found myself startled with this chandelier that is said to be made up of Swarovski crystals that came all the way from Italy. 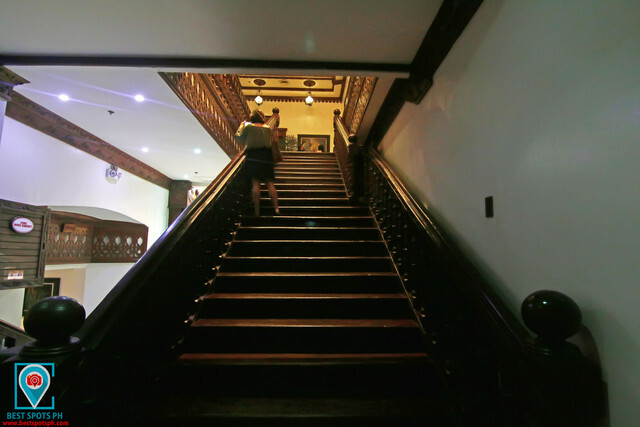 The staircase going upstairs with the original kamagong wooden floor. With much pleasure, I continued my journey and ascended to the 2nd level of the museum through the original “Encarnacion” kamagong wooden floor, the escalera or the wide mahogany as the main stairway and when I reached the upper floor at this grand sala and seeing the ceiling decorated by wooden medallions that were carefully crafted by artisans from Betis, Pampanga, I was again caught with enchantment, and the atmosphere immediately brought me back to an era of the past. I was totally impressed and I could not contain my amazement with the right words seeing the paintings and artworks that features the country’s national artists, sculptors, painters, and masters of their own field of expertise such as Napoleon Abueva, Mauro Malang Santos, Vicente Manansala, Romulo Olazo, Federico Aguilar Alcuaz, Abdulmari Imao, Ramon Orlina, Benedicto Cabrera, and Fernando Amorsolo. The famous 1883 "La Mandolinera", a portrait of a female mandolin player by Juan Luna. 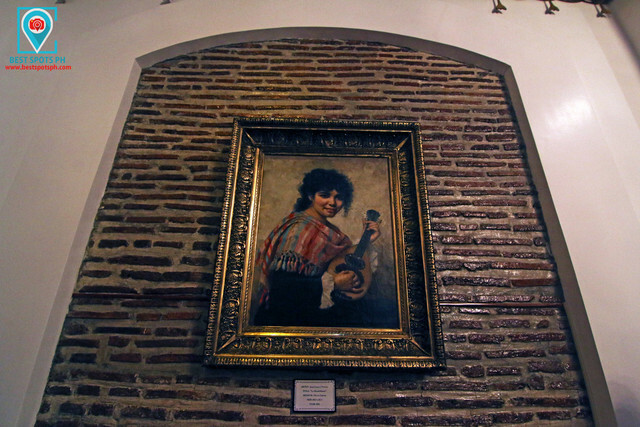 I was at the peak of my astonishment when I was stunned with the 1883 artwork called “La Mandolinera” a portrait of a female mandolin player by Juan Luna himself, one of the greatest Filipino artists in history and also a native Ilocano. This artwork that occupied a wall in the grand salon is said to be an original painting using the oil in canvas medium that measures 80.3 cm x 65.2 cm. 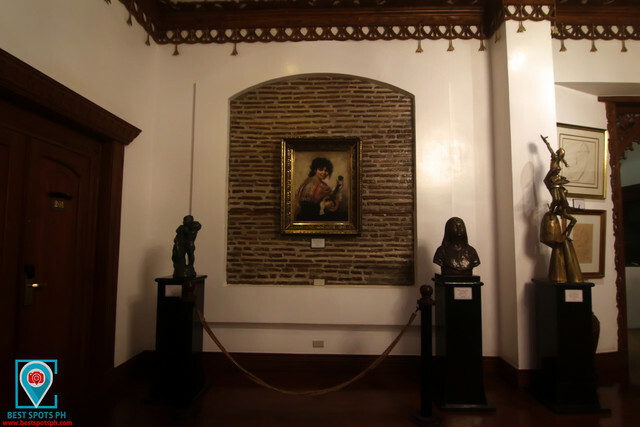 On the other side of the hallway can be found other artworks from different Filipino artists including a replica of Juan Luna’s most famous work, Spoliarium. 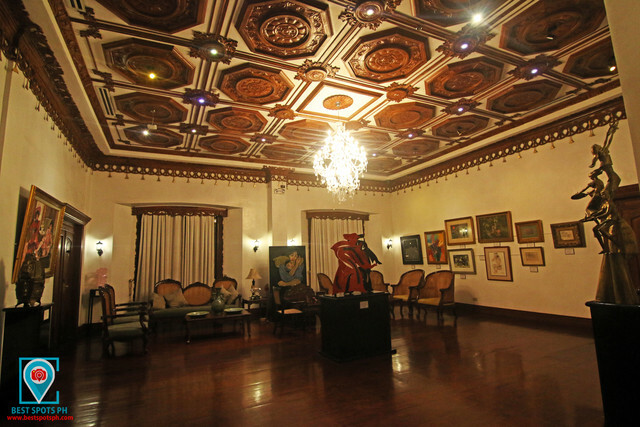 The Grand Salon (Sala) featuring priceless collections from different artists, and masters. Later then, we found ourselves at the Comedor Restaurant, the elegant main dining hall that features original brick walls that dated 1800 on arches, and other paintings. On the other part of the museum is the Chula Saloon Bar, a chill-out lounge that offers the finest selection of liquors such as the Cognac Henessy XO at P15,000.00 per bottle or P865 per shot, Remy Martin VSOP at P4,000.00 per bottle or P300 per shot, or the Glenfiddich at P8,500.00 per bottle or P385 per shot, and Macallan at P8,000.00 per bottle. 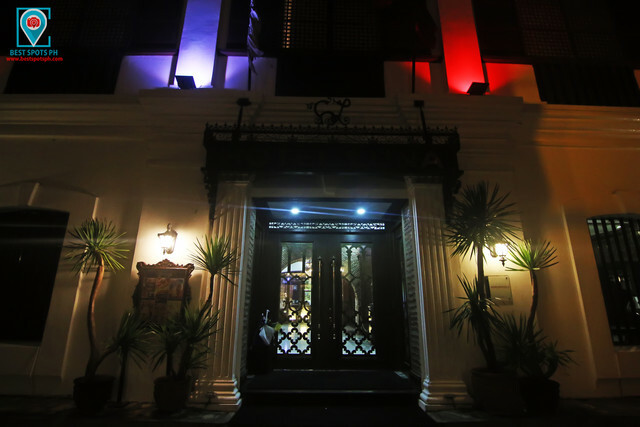 Chula Saloon Bar was created and designed by the company head and also Ilocos Sur’s Congressman Mr Eric Singson and can be found a replica of the controversial Parisian Life (1892). The moment we stepped outside the property, I felt blessed on having been given a chance of witnessing the grand collection of renowned artists in the country that offers in Hotel Luna, the best example of the promotion of cultural artifacts through preservation, and conservation. The 700-square meter property is conveniently located at the town proper along General Luna corner Ventura delos Reyes Street, few steps away from the famous Calle Crisologo. Our Ilocos trip is part of the official benchmarking tour of the Misamis Oriental Tourism, Culture, Heritage, and Arts Council.